Oh my! When I first saw the photo I thought it was Lillian!. The I saw the second photo and wow - isn't Grace beautiful. She has such soulful eyes that make her face just light up. 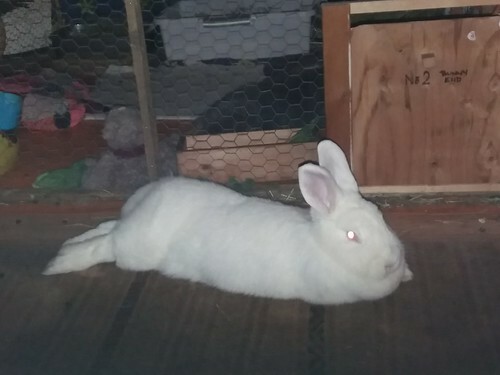 Beautiful white fur. Grace is a definate star and certainly worthy of a place in the RWSA hall - in Lillians opinion. She is adorable. Hehe! Grace says she knows she’s not been here long but she knows that’s high praise indeed! She’s blushing from such lovely compliments. 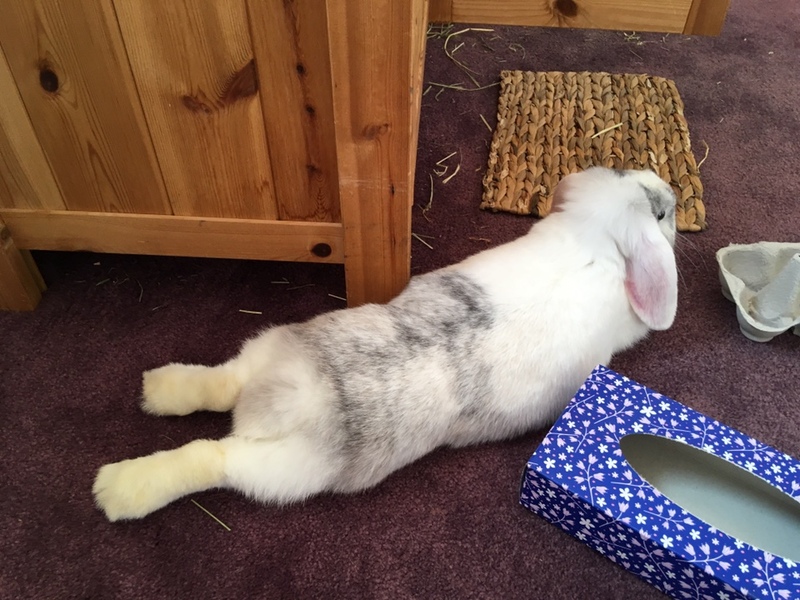 What wonderful side sploof action! 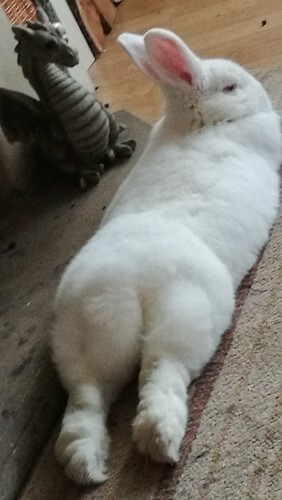 Luther wanted to note the lovely booty lines, reminds him of his physique hehe! Also he’s slightly concerned a front feetsy seems to be missing....! 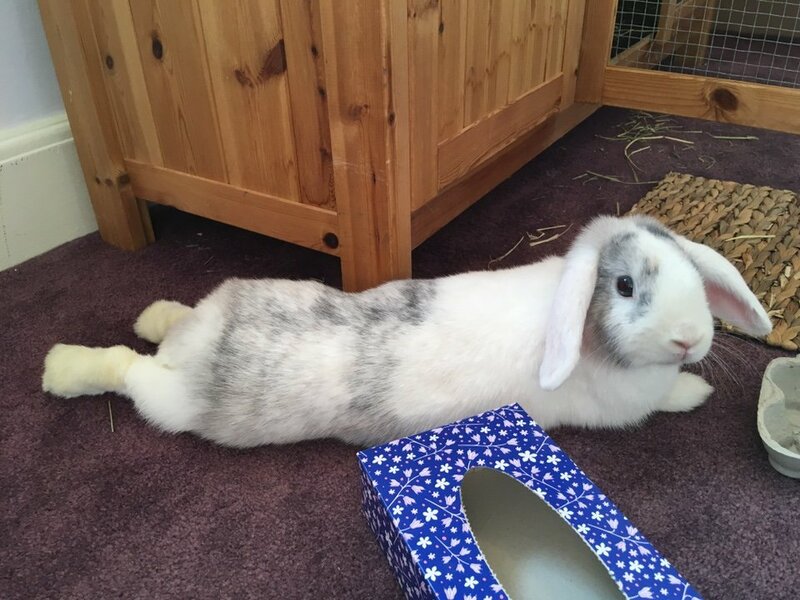 Susan is clearly a natural sploofette. Lovely head position and very attentive ears. A very worthy addition to club sploof. Malcolm Dragon has been giving Susan instructions. She did ask for a 1980's style sweatband for round her head as she pushed through the burn to get her perfect sploof.